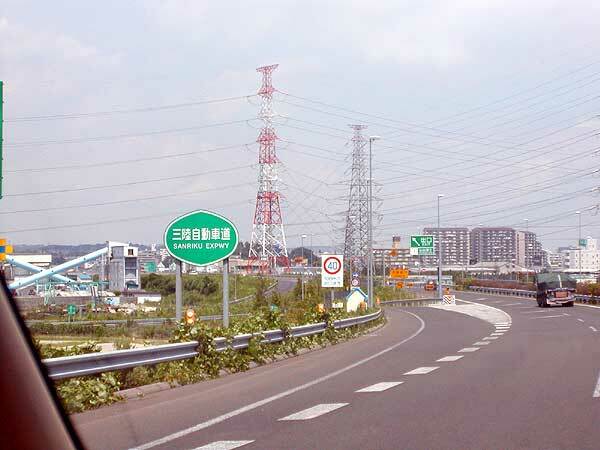 The Sanriku Expressway is the most important road to access to Sanriku region by car. 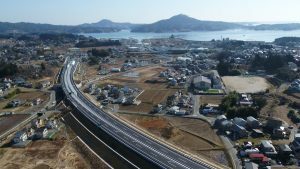 It starts from Sendai Ko Kita (Sendai Port North) and ends at Miyako in Iwate Prefecture, many portions are completed, and remaining portions will be completed in 2020 at the Olympic year. 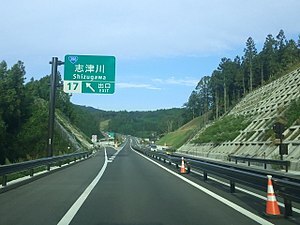 The highway toll is payable between Sendai and Naruse, but it is free from Naruse to northward. 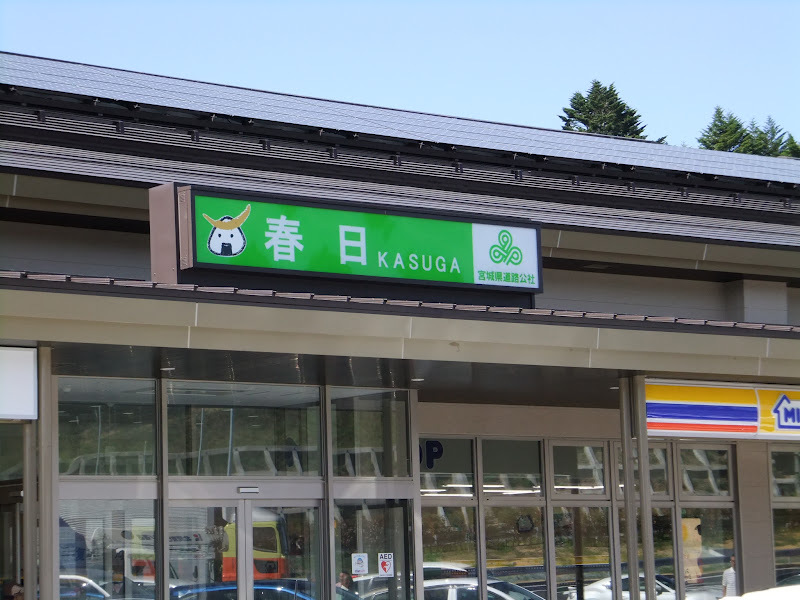 Service Area of Kasuga for brake. 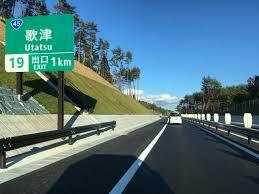 It was open the first portion between Matsushima-Osato and Matsushima-Kita (North) in 1982, 35 years ago. 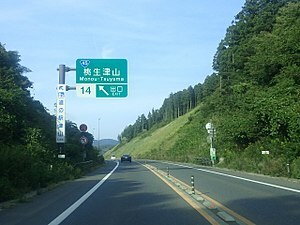 Then, connected to Monou-Tsuyama in 2007. Monou Tsuyama is the most convenient exit to come to Hotel Kanyo. 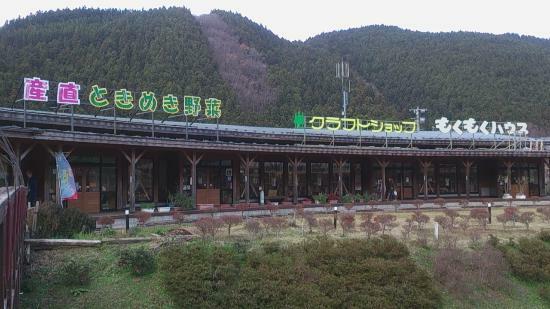 There is the Road Station “Moku Moku Land” where are available local foods and wooden works. 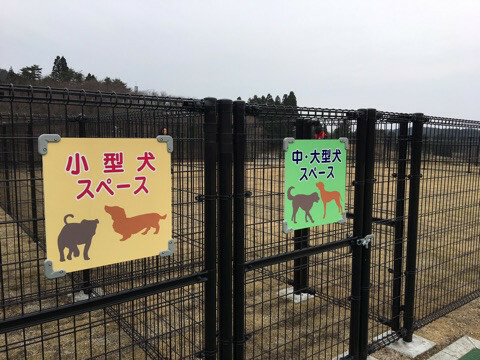 It is connected to Utatsu from Sendai so far, but it will be open from Utatsu to Koizumi Kaigan and from Motoyoshi to Oya Kaigan on 16 February, it means it will become more convenient to go to Kesennuma from Minami Sanriku. 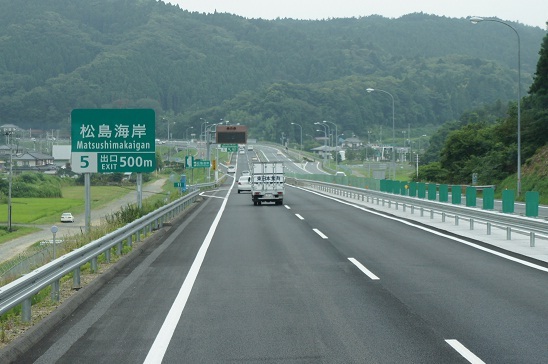 Thanks to these new portions, you may go to Kesennuma in less than 1 hour by car. 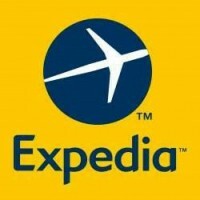 Hope to be more convenient to travel in Sanriku region in the future.